Posted on June 16, 2012 February 24, 2017 by Ian C.
One visit to Epcot earlier this year, there was fluffy cotton wool everywhere around a tree which was covered in spikes which we later learned was a Silk Floss Tree named because of the look of the opened seed pods. 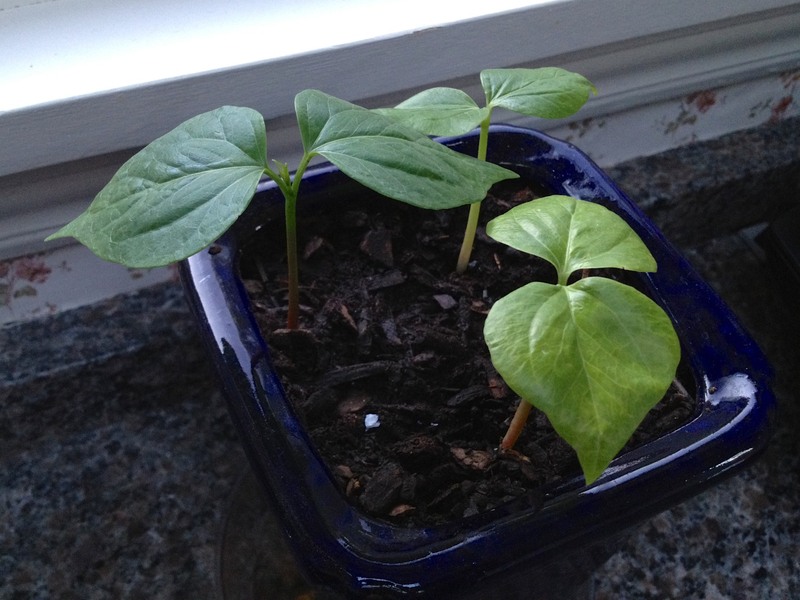 Margaret collected a few seeds, planted them here, and they have begun to grow! No idea how quick they grow or what weather they like – but if they grow like the ones at Epcot, they won’t stay on the kitchen counter for long! I have some space in my garden where I would like to plant a Silk Floss tree.How can I get some seeds of this very beautiful tree? My Mom started our trees from seeds from the fruit in 2004, our trees are 10 years old. They are beautiful. One is tall, about 12 feet tall with thorns which have become approx. the size of a dime. My tree is short about 4 feet, trunck around 12 inches around, with many thorns. Neither have fruit nor flowers or silk pods. It’s a special tree and we have fun watching them grow.